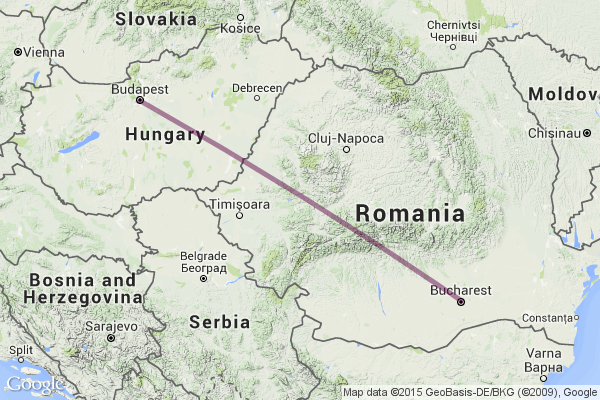 Last year, the Hungarian government ordered a feasibility study for the high-speed railway line it plans to build to Bucharest. The project will certainly be expensive, but it is not yet clear how the two countries will share the bill, says HungaryToday.hu. Péter Szíjjártó visited the Romanian-Hungarian community in Marosvásárhely (Târgu Mureș) in celebration of the Hungarian revolution of 1848. While there, the Foreign Minister confirmed the government’s commitment to building the high-speed railway line. Szíjjártó told reporters that Liviu Dragnea, the President of the Social Democratic Party (PSD), had suggested the high-speed train’s final destination be Bucharest instead of Kolozsvár (Cluj-Napoca). Szíjjartó appeared to be enthusiastic about the idea. According to Magyar Nemzet, although there is much the Hungarian and Romanian governments agree on regarding the high-speed railway, the financial aspect remains unresolved. Constructing the 850-kilometer track would cost more than 3,000 billion HUF (around 10 million euros per kilometer).